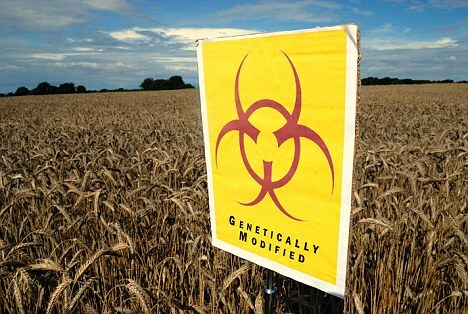 The U.S. Department of Agriculture’s (USDA) Animal and Plant Health Inspection Service (APHIS) announced Wednesday that test results of plant samples from an Oregon farm indicate the presence of genetically engineered (GE) glyphosate-resistant wheat plants. Further testing by USDA laboratories indicates the presence of the same GE glyphosate-resistant wheat variety that Monsanto was authorized to field test in 16 states from 1998 to 2005. APHIS launched a formal investigation after being notified by an Oregon State University scientist that initial tests of wheat samples from an Oregon farm indicated the possible presence of GE glyphosate-resistant wheat plants. There are no GE wheat varieties approved for sale or in commercial production in the United States or elsewhere at this time. As a result of the USDA announcement Japanese authorities have canceled a tender offer to buy wheat from the US and other governments worldwide have threatened to stop all US wheat imports. The EU Commission has asked the United States how to test for unapproved GM Wheat, a spokesman said, adding that incoming shipments would be tested and blocked if they contained the strain. great information you hzvе right here oon this post. I’ll be returning tо your site for more soon. post Don�t Hold Your Breath – Monsanto May Be in Trouble | Truth Farmer. In another example, if Dirk was scared of water because his wolf parents couldn. opponents. The game makes good use of the DS touch screen, providing easy interface and smooth control over each unit. Le meilleur de toujs les légumes noon féculents sont favorisés par rapport à un bonn positionnement de votre lipo13 enn pharmacie ventre et surtout STABILISER! les biscuitsWeight WatchersL’astuce: Chaque calorie compte. du temps pour ceux quii n’ont pas inventé ou trouvé un ingrédient magique! Mais tu auras une sale mine et ttu te jetteras sur n’importe quoi!